I am a mentor on FRC Team 447 and we are working with FRC Team 1720 and Purdue Polytechnic Anderson to start up 10 new teams in our areas. We have limited knowledge about either the VEX program or the FTC program beyond what we see at FIRST Championships or YouTube videos. Purdue Polytechnic Anderson has worked to secure funding for these teams and we have meet with representatives from both VEX and FIRST to learn more about their offerings. As with any meeting where a group or individual is selling you on the benefits of their program, we have gathered a lot of information about how they see it working, their programs benefits, etc. What we are looking for now is some real world feedback from people in the programs. We have teachers interested in getting a program off the ground and the common questions come up regarding how much time and money is involved to a) be engaging and teach the students and b) field a minimally competitive robot. As a mentor on a FRC team, I simple don’t have that information first hand. If anyone here would be will to fill out a short survey, it would be very much appreciated. 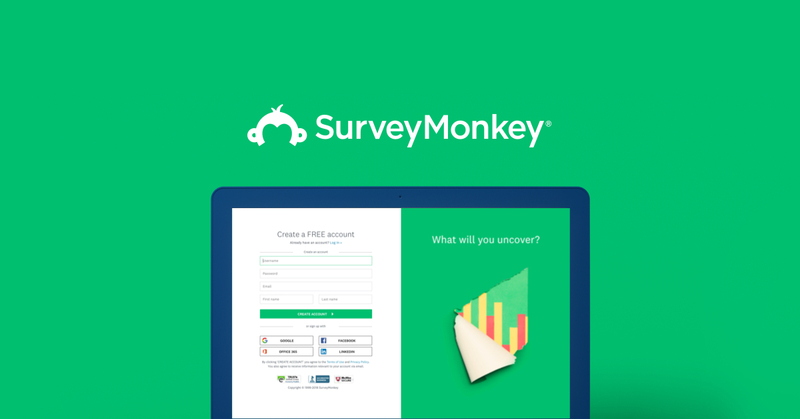 The survey is designed to learn real world information regarding time commitments, team sizes, and average cost incurred in various programs. This survey is being posted on FRC forums and FTC forums as well so if you know anyone involved in any of the three programs that would be willing to fill out the survey it would be very much appreciated. Our goal here is to provide the most accurate information to potential new mentors as we know the success or failure of a new team will reside with them. The current discussion is whether we launch as VEX teams, FTC teams, or both but we want the mentors to know what to expect with either program. In question 2, you probably mean “VEX Robotics Competition” instead of “VEX IQ.” VRC is the VEX program for middle & high school students (roughly analogous to FTC), whereas the VEX IQ Challenge is the VEX program for elementary & middle school students (roughly analogous to FLL in the FIRST ladder). You are correct, thank you for the feedback, we have made that change. The discussion here locally is whether to do VEX Robotics Competition or FIRST Tech Challenge or possibly both. We run an FRC program and a couple of FLL teams out of our space and we are working on getting more students involved in robotics programs. We have no experience with either the FTC or VEX programs and are looking for answers from people who do. If anyone here has experience with both, maybe you would be willing to share why you chose VEX over FTC or maybe you do both? Our end goal is to create sustainable programs in the area that hold the students interest. We are not overly concerned with which program as they both serve to build excitement in the STEM Fields. This is my two cents. There are certainly people who extoll the virtues of both the VEX Robotics Competition and The FIRST Tech Challenge. I have been involved in competitive robotics before the establishment of either VRC or FTC. We started a local league using the kits that were the precursor to the VEX kits. That evolved into the FIRST VEX Challenge, then the FIRST Tech Challenge using VEX (at which time VRC began as well), then FIRST moved FTC to a different platform and many of us stayed with VEX as we already had the equipment. So that is my background. As for my experience, I have done both (sort of,), but not recently. Why do we do VRC? For me, it is several things. One, bang for the buck. The registration fee to register with RECF (the governing body for VRC) is less than the fee to register with FIRST. And I mentor/coach up to 7 teams per season. Fees to enter tournaments are generally much lower in VRC than they are in FRC, as far as I know. Two, the VRC model is one of continuous improvement. We find out our game at the end of the World Championships and play that game through the next World Championships. My teams typically compete in a local league as well as about 5-6 tournaments usually beginning in early December here in WI through mid to late February. Most of my teams qualify for state (I am lucky enough to have one of the better programs in WI) and we usually have at least on team qualify for the US Open. We have also been fortunate enough to qualify for Worlds for the past 4 years and 8 times in the 13 year history of the VRC World Championships. The robots that get to state are often much different and most of the time MUCH better than they were early in the season. Third, although the FTC games are technically challenging. I prefer the VRC games. The scoring is generally simpler, no penalty points to worry about. And there is a certain amount of defense allowed to be played. It is not 4 robots on the field running concurrent skills matches. (A little snarky, but that is how FTC matches appear to me.) To run a very competitive VRC team does take a longer time wise commitment however. The top teams are virtually run year round. I hope that this helps some in making your decision. Again, I believe that both are good programs. I am a believer in VRC for the reasons listed above and I have seem what is has done for my students, many of whom never thought of going into a STEM field before doing robotics. This is the kind of feedback I am looking for to help our potential mentors understand what they are getting themselves into. I find your comment about the games interesting as I just had this conversation today with a fellow FRC Mentor and said I found both the VEX and the FTC games to appear unexciting. We both then commented as to how rather simple the FRC game is from the outside looking in. I mean really, we are placing round kick balls in a hole and putting a panel in front of it, come on now! The truth is the excitement of any of these games come in understanding the rules, knowing what it took to build a robot for it and then plan and execute the strategy to be a top contender. No different than any sport if you break it down to its simple form. Take an object and motivate it to some specified place in the world and then do it again and again and again. What is important to us beyond the time and money investment is the opportunities to participate in additional events, community involvement, cross team interaction, and what being part of each program may do to assist in scholarship opportunities or even admission opportunities to universities. We are well aware of the opportunities in the FIRST Community, but not through VEX. I have enjoyed reading this forum the past couple days, it has provided confirmation that whether the program is VEX or FIRST the people are genuine, gracious, and helpful. As a student, I am a huge part of my Vex, FTC, and (until recently; long story) FRC teams. I like to promote innovation, (see my profile for details on an alliance founded by this value) and cross-collaboration has really helped me to do so. I had an H strafing drive in FRC, and I had to explain it to scouts countless times who had only seen mecanums. It’s truly a unique experience. I personally like Vex’s game design a lot more than FTC. They’re always more interesting and more engaging. Also, Vex has a “cleaner” (for lack of a better word) control system with interchangeable parts.